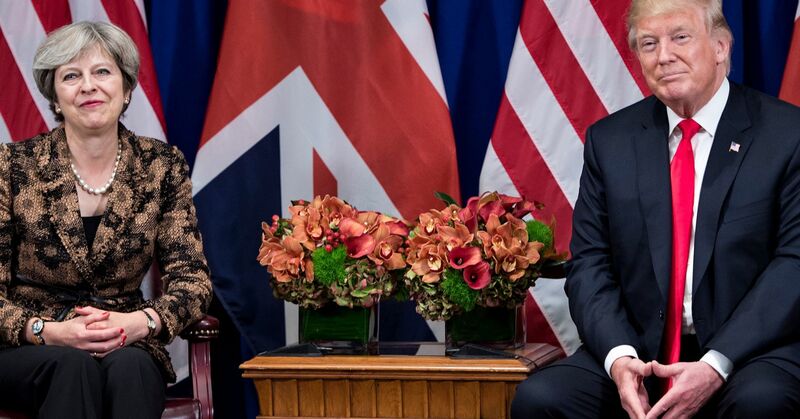 The upcoming visit from President Donald Trump to the U.K. could bring fresh instability to Prime Minister Theresa May, at a time when political pressure is building within her own party. May reached an important agreement Friday with her ministers that paves the way for future negotiations with the EU, with the official Brexit date due in March next year. The so-called Chequers agreement suggested the U.K. should try to keep the closest possible relationship to the one it currently enjoys with the bloc, allowing smooth trade across the English Channel. But nothing is set in stone yet and the two negotiating teams have a lot of ground to cover if they want to reach a deal before the departure date. Furthermore, Foreign Affairs Minister Boris Johnson and David Davis, the chief Brexit negotiator, resigned in the aftermath of the agreement, raising further doubts about what’s going to happen to the U.K. and its links with the European Union. A public backing of Johnson would no doubt prove challenging for May. “Trump might put pressure on the British cabinet to reconsider May’s Chequers declaration,” Rem Korteweg, head of the Europe in the World unit at thinktank Clingendael, told CNBC via email Monday. “This could complicate things for May,” he added. If the U.K. government follows the Chequers agreement and works toward a deal that grants the closest possible relationship to the EU, then this means the U.K. is likely to follow European food safety regulations, as well as product standards, even when it stops being a member of the bloc. However, in order to sign a trade deal with the United States — something both May and Trump have spoken about — the U.K. may have to bring its regulations and standards closer to the ones the U.S. currently employs. This raises a problem for May, as both sides of the Atlantic follow different rules. “Non-tariff barriers, like different regulations and standards, are among the main impediments to U.S.-U.K. trade,” Korteweg said. “Whether it stays close to European standards, like the Chequers (agreement) said, or it takes a different direction,” Wolff explained over the phone to CNBC Tuesday. In July last year, the U.K. and the U.S. started work toward a trade deal, to be completed once the U.K. is out of the EU. Under European law, member states cannot sign trade deals unilaterally — this is a task led by the European Commission. 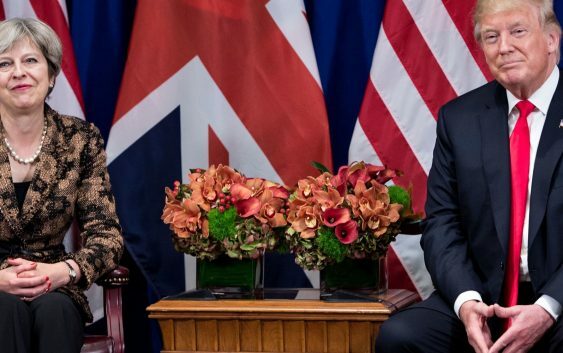 Is the US-UK ‘special relationship’ still special?